Fall is upon us! What a beautiful season to reflect and be thankful for our blessings. As a rancher, it becomes a wonderful season to look back on the year and “reap the benefits of your harvest.” It is time to ship your calves to market! As you prepare for this, you want everything to go smoothly during your gathers and shipping. You are working very hard to ensure that the experience is low stress for both you and the cattle. After all, you want to make sure they go to market with as much weight as possible. With a lot going on in your mind for preparation of fall, you want to be careful not to overlook another very important part—your horses and tack. 1. Chinks — With fall comes the change of a cool, crisp air. A good set of chinks will help keep you warm. Between long days in the saddle gathering, searching brushy country to find the last cow and the dirty chute work, this extra layer of protection will keep you from being slowed down or uncomfortable. Shop a great working selection of chinks here. 2. Hobbles — Once your cows are gathered into the corral, you might not have that halter handy! 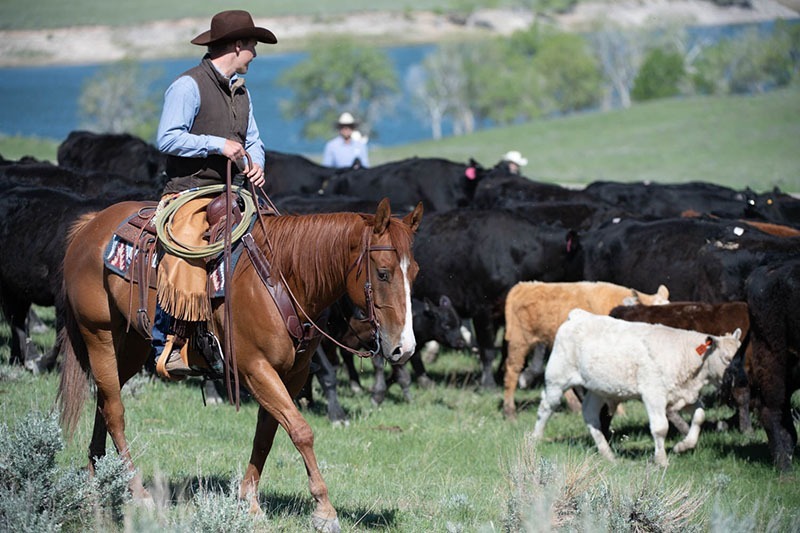 For that reason, a staple piece for a good stockman is a set of hobbles kept on his saddle. Find a safe spot out of the way to hobble your horse and let him graze while you’re shipping, preg checking, etc. Most ranchers love a nice set of leather hobbles. *Side Note: It goes without saying, but make sure your horse is hobble trained. If you need some tips, here is a great starting point with industry expert Ken McNabb. Shop a handcrafted set of hobbles here. 3. 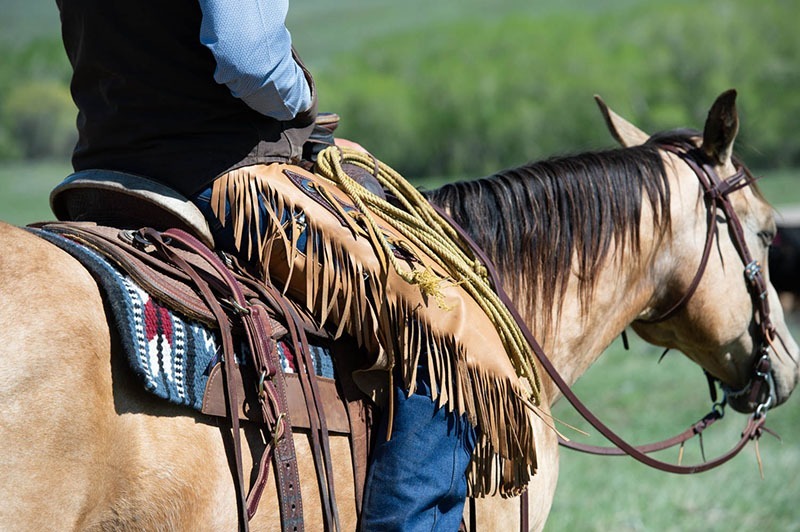 Saddle- or Cantle Bag —Depending on how big your gather is, it is always nice to keep a saddle- or cantle bag tied on for the “extras.” Extra gloves, a spare sweater, rolled up slicker (if it isn’t already tied on your saddle), a possible snack or bottle of water. You never know what fall weather will do J Sometimes it wants to give you that first taste of winter! Oh, and don’t forget your phone or camera to sneak in the quick beautiful fall picture. 4. Saddle Pad—Fall work generally means you will be putting some miles on your horses. Make sure that you don’t sore them! Double check your saddle pad is in good shape because it may be the perfect season to purchase a new one. Remember the three important functions of any good pad are to reduce friction, absorb pressure and cool. 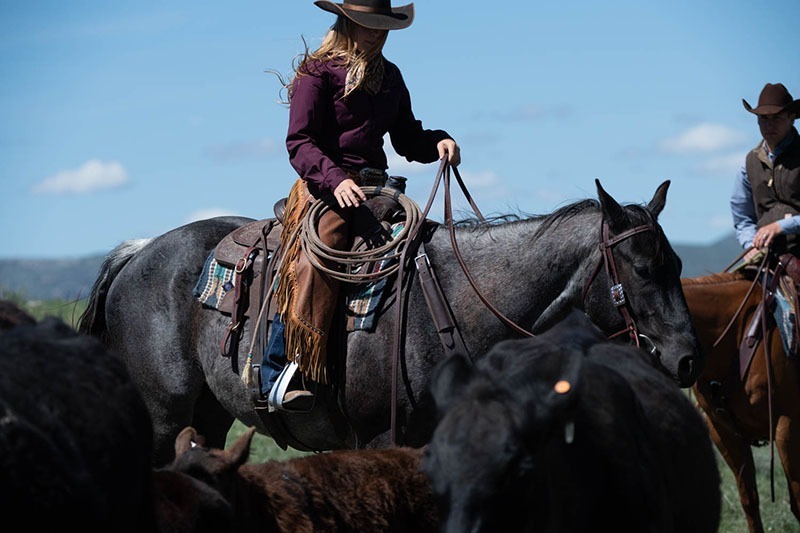 Shop these quality styles today, including synergy saddle pads and felt saddle pads.